Thinking about a Will may not be at the forefront of your agenda – and it could certainly seem like there are far more pressing issues. And really anything is more pleasurable than sitting down and dividing up your assets. However, not having a Will, or not having an up-to-date Will can create significant problems after you are gone. Read about the celebrities who prove that having a well-written official Will should be done today to help your children’s tomorrow. Jimi Hendrix died at the age of 27, without any Will. The resulting fights, legal battles and family feuds lasted decades and racked up millions of dollars in legal bills. Due to Hendrix’s lack of foresight (which is perhaps understandable given his somewhat busy lifestyle) no-one really knew his wishes. Immediately after his death an ambitious lawyer – Leo Branton managed to get hold of Hendrix’s fortune whilst placating the Hendrix family with a nominal stipend. Eventually the Hendrix family realised they could receive a far greater sum of money and sued for control. In 1995 (25 years after Jimi’s death) Hendrix’s father finally gained access to his son’s estate, but even this wasn’t the end of the story. Because in 2002 Al died and left the inheritance to his adopted daughter – a decision contested by Hendrix’s brother Leon. The battle is still on-going and proves the importance of having a Will. The feud cost money, broke relationships and could so easily have been avoided. Which perhaps makes it even more heart-breaking. 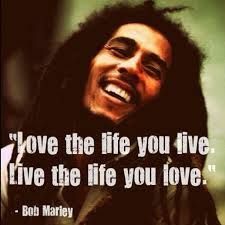 Bob Marley may have preached no women no cry, but he proved no Will causes real tears. He was far from naive about his finances and set up a number of corporations to manage his assets. Even though he knew his cancer was killing him a year before he finally passed, Marley’s Rastafarian faith meant he was prohibited from thinking about death. This meant that when Marley passed his 11 children (4 with his wife and 8 with other women), all had a claim in his $30 million estate. However, due to his lack of Will Marley’s estate was divided according to Jamaican law. This meant Marley’s widow Rita was entitled to 10% of his estate and a further 45% until she, herself, passed away. Meanwhile his children were entitled to an equal portion of 45% of his estate as well as a portion of Rita’s estate once she passed away. However, his wife was not satisfied with the doctrine of the law and tried to forge her husband’s signature, creating a false Will. This behaviour has created a jagged precedent as Marley’s legacy has been mangled and maimed by vying interest and warring parties. These issues could have been avoided with a proper Will. Comedian Rik Mayall passed away in June 2014, and even though he had previously had a near-fatal accident in 1998 he still failed to write a Will. This meant his family were taxed far more on his £1.9 million fortune than would normally be the case. Had Mayall left everything to his wife there would have been no inheritance tax on his estate. According to the latest legislation, if you die without a Will and are married with children, your spouse will inherit the first £250,000, personal belongings plus life interest in half the rest. The balance goes to the children at 18. The inheritance to children is heavily taxed after £325,000. Mayall’s children were bequeathed £475,000 – an amount far in excess of the sum. This meant they were taxed a shocking £60,000. Money they should have, and could have kept secure, had Mayall consulted a professional and written a Will before his death. Before her death from cervical cancer in 2009 Jade wanted to make sure the bulk of her £3 million estate went to her sons. Her deathbed wedding to Jack Tweed may have been an act of love but there is no denying it helped save her sons a massive 40% of their inheritance. As well as her sons, Tweed is also a beneficiary of her trust fund and assets passed through a surviving spouse are not liable for inheritance tax. However, this does not mean Tweed has any right to her fortune as it is tightly controlled by her chosen trustees who were instructed to regard her children’s needs as paramount. Ultimately, she snubbed her husband leaving him only with her car worth £14,000.